Are you searching for the perfect Easter promotion for your business? 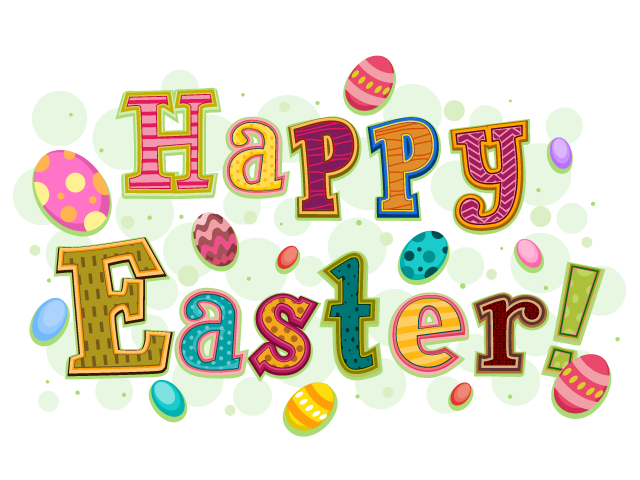 We have hundreds of items from Easter and/or Spring that can be imprinted with your company name, logo or message. From coloring books to stress relievers, items in the shape of Easter eggs or rabbits, or with a spring theme — you are sure to find something that will make your spring promotion a memorable event. 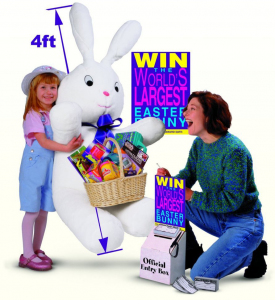 Our Giant Easter Bunny retail traffic promotion is perfect for any business that has or wants family traffic. It is also a great fundraiser for schools. Churches and other non-profit organizations can use it as a giveaway at an Easter Egg Hunt. What kid doesnâ€™t love coloring books? Our spring coloring books make great gifts for kids who love expressing their creativity. 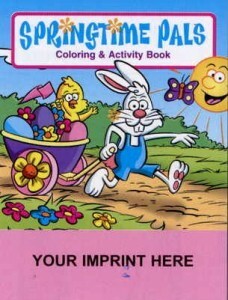 Why not personalize these coloring books by imprinting your name, logo or message on the front? 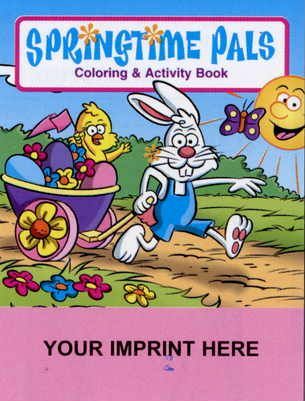 We offer a low $20 set up charge for our Spring Coloring Book. Two of our most popular Easter traffic builders are the The Giant Easter Bunny or the World’s Biggest Easter Basket. These Easter advertising promotions are perfect retail traffic builders for banks or other financial institutions, restaurants, grocery stores, automobile dealerships, rent-to-own stores, radio stations and newspapers and any family-friendly businesses. Our Easter promotions come with everything needed to have a successful in-store promotion, including entry blanks, an entry box, a colorful poster and a press release package. Do you want an Easter toy that is unique and practical? 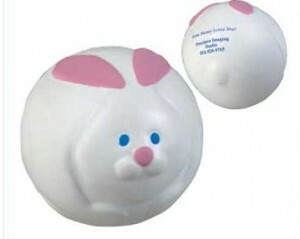 Stress toys or stress balls make great giveaways for Easter egg hunts and other events. Personalize your Easter stress ball by imprinting your name, logo or message on the back. Our promotional tote bags are constructed of 100 percent non-woven, soft textured polypropylene with stitched seams. This tote bag has an 18â€ handle, black accent piping, side and bottom gussets, reinforced sewn handles and a matching covered cardboard bottom. 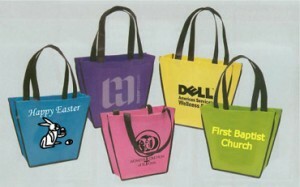 These bags are great for collecting Easter eggs or just celebrating the special holiday in style. Not only do we have Easter bunnies, but we also offer over 50 stuffed animals in a variety of sizes. Most toys can be imprinted with your name, message or logo, generally on a T-shirt, hat or ribbon. Contact us for specific imprint locations. If you don’t see what you are looking for in the items shown above, search our on line catalog at Bagwell Promotions or contact us. We have Easter toys that perfectly compliment press kits, giveaways and more. Hundreds of our customized Easter items can be personalized and imprinted with your logo, company name or message. Copyright © 2017 Bagwell Marketing Access over 500,000 additional promotional products here.